Patience paid off for Jacob Tipper on Sunday as he held his nerve against a powerful breakaway group and saved himself for an irresistible uphill finish against local strongmen. There was no fear of the distance however as a break formed only 10km into the race including TMG’s own Richard Wood, an acknowledged early move specialist, with some serious muscle in the form of Ollie Barbieri of Spirit Bikes and Chris Dredge of NHT Cycling Team plus 2 riders from Wellingborough cycles. 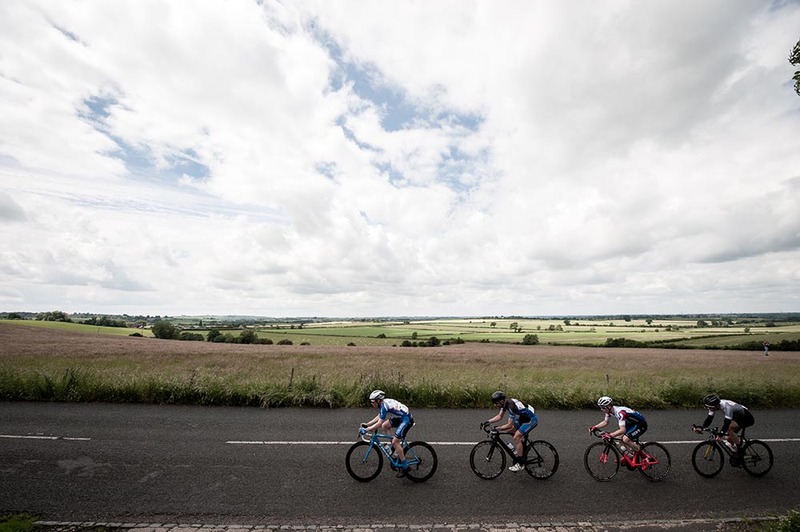 First passage of the finish and the break looked like a typical early move with only 20 seconds on the bunch. With 5 laps to go, the pace continued at its consistently high level, but Chris Dredge was allowing no-one any respite and was still pulling away from the other escapees as they crested the hill. Lap five, and as the chase group crossed and hitched up with the leaders, the bunch seemed to wake to the threat. With three laps to go, Coleman took charge at the front in the break whilst in-form Lawrence Carpenter of Nuun Sigma Sport led the bunch up Cublington Hill, the gap down to a minute. It was pretty finely balanced, and by now the full field had been reduced to around 50 riders as the pace took its toll, but the gap closed further and as Dredge took the Greyhound Enoteca Prime with 2 laps to go, the gap was down to 31 seconds, the bunch clearly smelling blood. 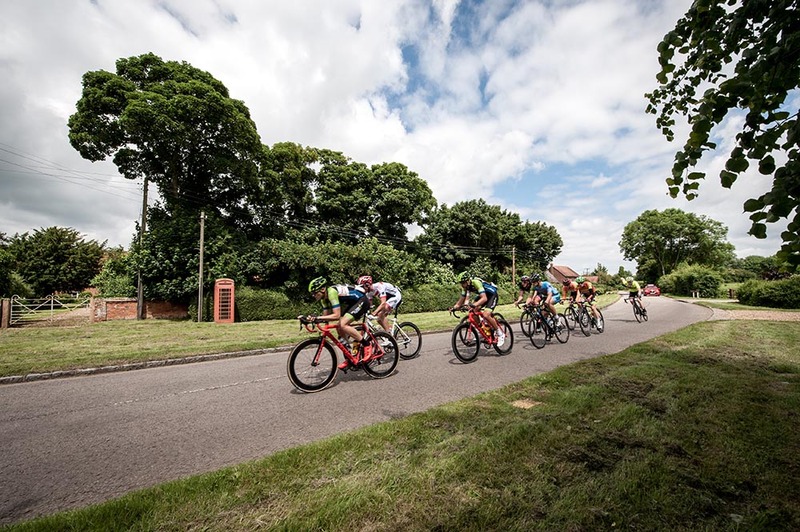 As the race took the bell for the final lap, it was all change at the front with a new attack on the move. 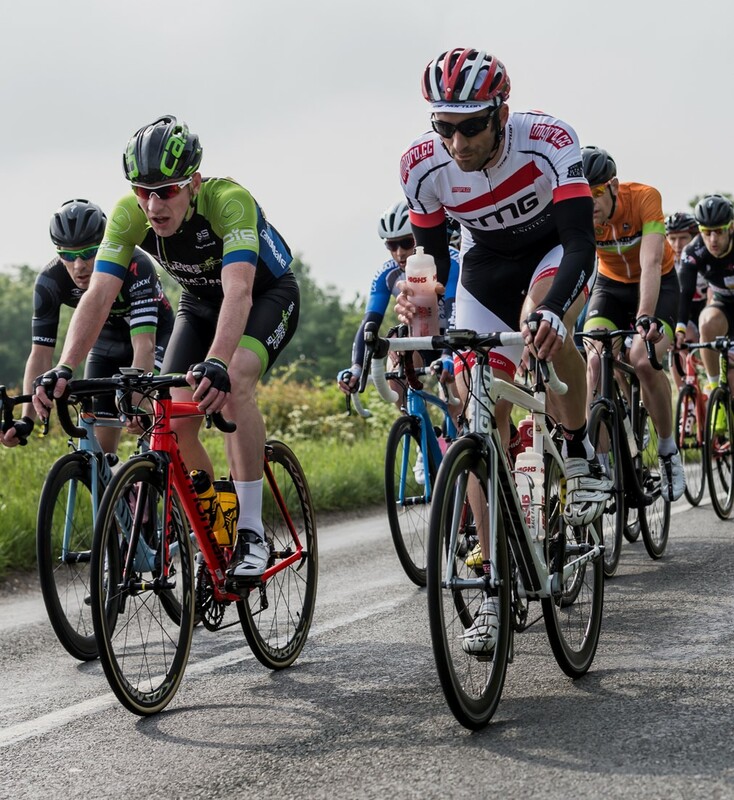 Roy Chamberlain of Corley Cycles was forcing the pace, driving a new escape followed by Josh Jones, Barnabas Purbrook of London Dynamo, Mike Wragg of CC Luton and gutsy junior James O’ Connell of Regents Park Rouleurs. The bunch was far too attentive to let this go though and the high pace continued, with the final lap only 24 seconds longer than the second. As the race approached the finish hill, it was all together and even after 162km the 12% finish hill didn’t create many gaps. 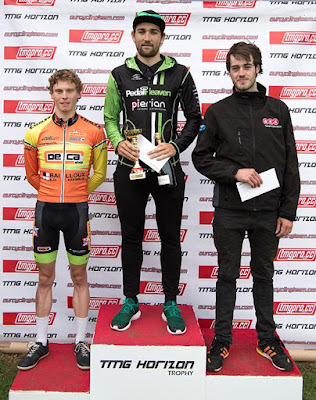 Jacob Tipper of Pedal Heaven showed his form though as he solo's to the win. 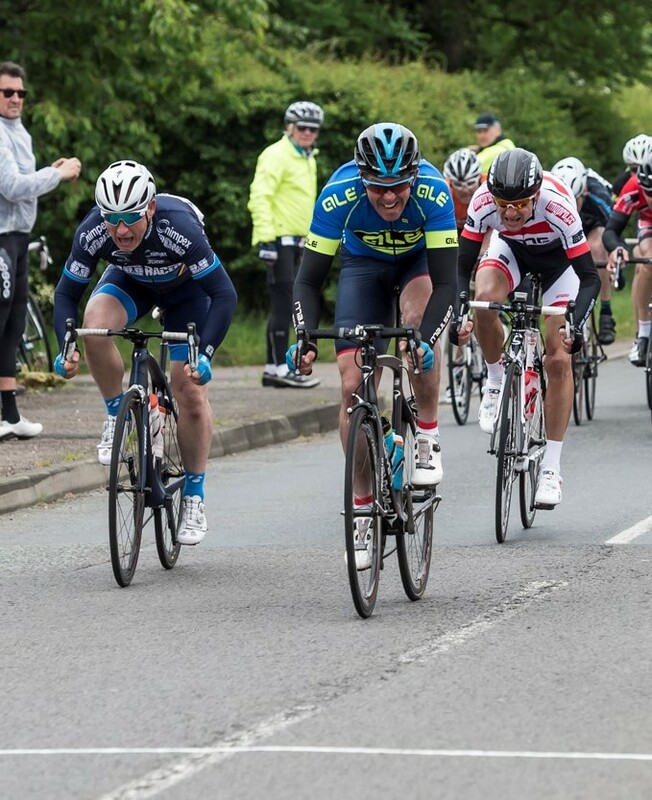 Although only 1 second, his gap over 2nd place Jake Hales of Spirit Bikes was bigger than any of those behind him. Managing to raise his arms as he approached the line, he was clearly delighted. "If i could choose a second rider to me, it would be Jake," he winked. "I coach him so it's as good as it gets!" 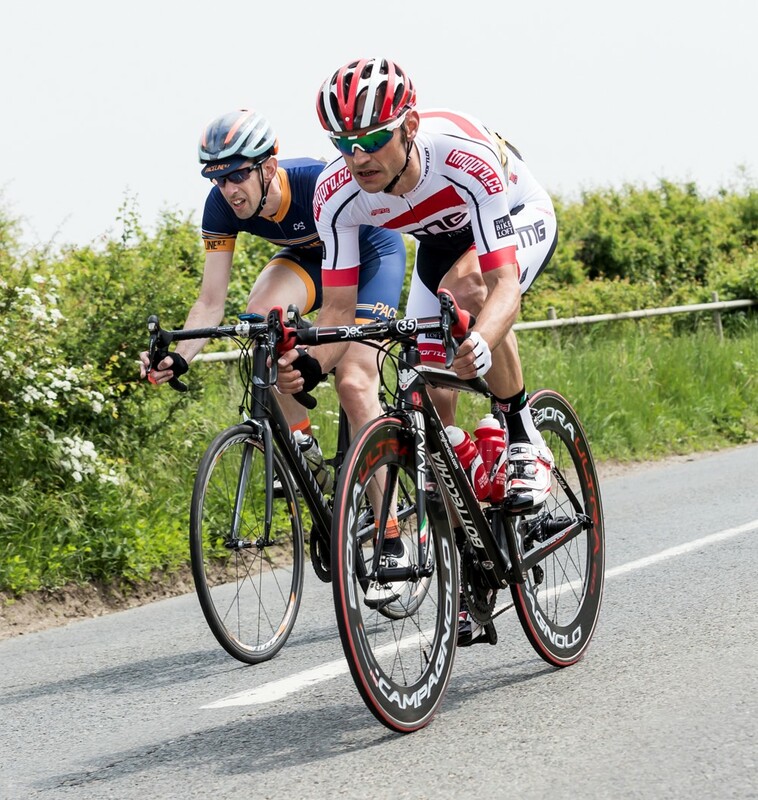 Tipper’s win comes hot on the heels of his win at the CC Luton Neil Gardner Memorial the week before. 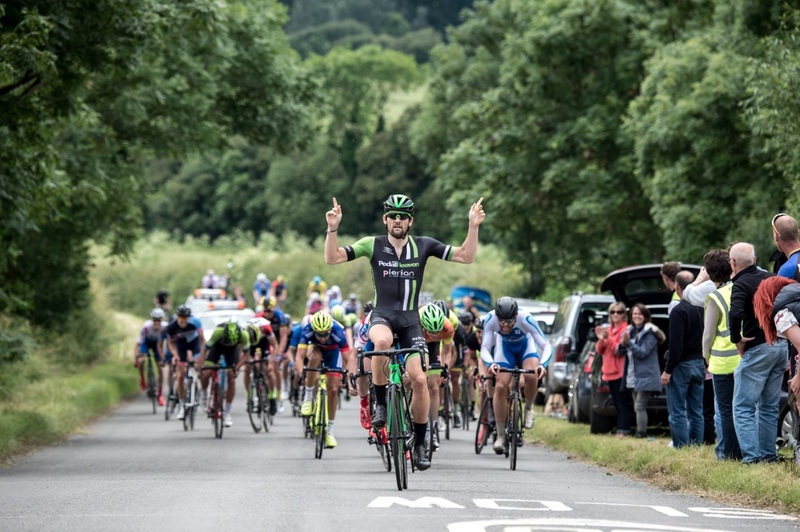 Congratulations to Jacob Tipper of Pedal Heaven RT, a clear win after a patient waiting game in the bunch. Huge respect also to Chris Dredge of Nieuwe Hoop Tielen for bossing the break, winning all three Primes and still taking 3rd place. Full report to follow but all placings are now confirmed. We're fortunate to have some ambitious race organisers in our local area. It means that we regularly get to ride the National Masters Championships with only an hour's drive. So, unsurprisingly, the team turnout was good this weekend for this Festival in Newton Longville near Milton Keynes. Jason (Bs) got things going accompanied by Chris and Richard in the Cs. Fearless as ever, Richard got into one or two moves but the course was not particularly selective and there was minimal wind which made it generally more difficult to stay away. Jason tried to be a bit more conservative and finished just inside the top 20: "It felt a little bit easier this year than last," he said afterwards. "Hopefully it wasn't and I have a bit more form." Michael Skipsey, Guy and Neil were in the 'biggest' age group in the afternoon. The 45-49 Ds were well represented with a smattering of ex pros and plenty of local speed merchants. Neil decided he was going to do whatever he had to to get in a break. 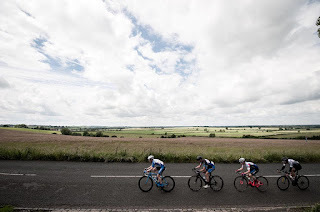 Having attacked and succeeded with Martin Smith of Dream Cycling on lap four, the duo were joined by Gray Turnock and one other but the bunch woke up to the threat within half a lap. Neil also woke up to the fact that his legs may not have survived much longer! Michael was our man for the sprint, but seemed to launch about 1km early and despite a massive effort, his lone attack was swallowed up with about 500m to go. Guy was just happy to get round and also survive a nudge into the verge around the last bend. So on to Sunday then, the Central League Road Race with Chris Burns, our newest recruit and the Es and Paul Caton, our most 'experienced' campaigner. 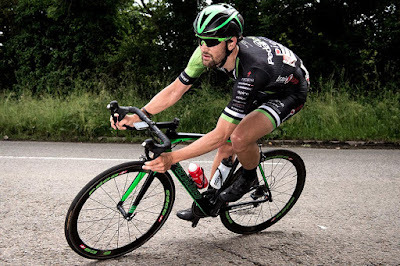 Chris rode a pretty canny race in the 234 and although he missed the break, managed a respectable acceleration in the finale to take 13th place and a couple of Central League Points. Handy. "I can't say I was brimming with confidence before the start as my form has only just returned after a hard winter of cyclo cross plus the circuit was pretty flat with no real climb to make a move or make some legs hurt". He had however, saved his new TMGPRO Road Suit for the occasion. 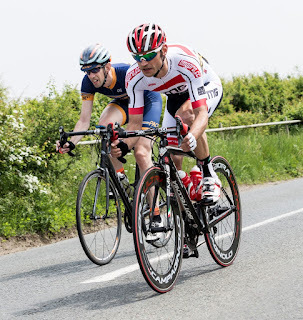 Paul was pretty active in the first half of the race trying to make a break work whilst also being alert to the many counter attacks by the other riders including Jim Moffatt of CC Luton. 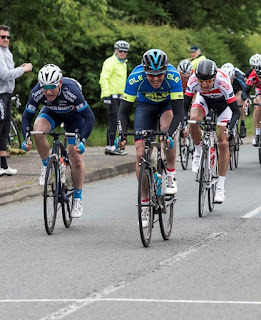 It became apparent though that the peloton was not going to let anything go so he decided to sit in a bit and wait for something to happen on the last lap but in doing so missed eventual winner Ralph Carter clip of the front and solo to the win. 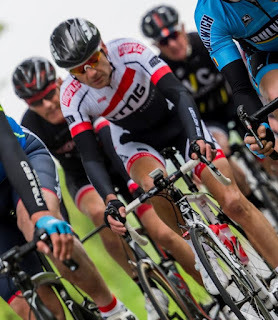 Biding his time in the bunch, he positioned himself well for the sprint which meant quite a bit of assertive riding with elbows to keep a good place in the last kilometre. With a flat sprint into a headwind this was not a finish ideally suited to his lean build. "I sensed a slight hesitation in the peloton so with 200 metres to go I launched my sprint," he recalls. "I actually held a medal place until 20 metres to go when 3 more powerful riders managed to get round me. So I ended up 5th, initially I was really disappointed but in retrospect it was not a bad ride on a course which was for from ideal for me." Thanks to Andy Whitehouse for the great pictures and Wayne Thomas and the team at North Bucks Road Club for taking on such a massive organisational job.